or being threatened or even attacked. because of this power of your love at work in our lives. If you are looking for a happy ending in Jeremiah, you are not going to find one. The people do not listen to Jeremiah’s words from God, and go the walls of Jerusalem fall into the hands of the Babylonian Empire. The only sign of hope is the Oracles against the Nations which spells out the demise of Babylon, implying the release from exile and a restoration of Jerusalem. After the oracle is read by Seraiah, Jeremiah instructs him to tie a stone to the scroll and throw it into the Euphrates as a sign, “Thus shall Babylon sink. Never shall she rise, because of the evil I am bringing upon her,” (51:63-64). Don’t we sometimes feel this same despair, that there will never be an end to it and God will never come to our aid? Jeremiah provides such imagery for this: “shattered Moab like a pot that no one wants” (48:38), “flee, retreat, hide in deep holes” (49:8), “they toss like the sea which cannot rest” (49:23) and “she shall be empty, and become a total desert” (50:13). The only thing to hold on to in times like that is hope. What is hope? According to Thomas Aquinas, hope is a special desire that has a special object. That object must be clearly good, apparent, in the future, difficult to get YET possible. We must have faith that it is possible. Faith is necessary for hope. Both faith and hope must be in love (which you ALREADY HAVE by the grace of God). God is love. That’s all God can do. We choose hopelessness when we cannot see a better outcome. Despite the harsh language in Jeremiah, God wants us to choose hope! Jeremiah doesn’t know Jesus yet, but we do. Jesus promises us hope. Jesus gives us the happy ending. Till he carries you over and on. To Him your great need. “We do not know how to pray as we ought.” St. Paul’s simple conclusion in his letter to the Romans certainly applies to me and to some degree I imagine it applies to everyone here. I know I fail and I really try to pray as I ought. But I think this brilliant passage in Romans underlines my greatest weakness. I am fine when I can articulate to God what I need, or for whom I am praying or how I need to change my life. But I am less comfortable when articulation escapes me. When I have no words for the pain I do not understand or the destination I am unsure of. What I cannot articulate is left unprayed, probably to my secret relief. so I can help the poor and vulnerable. There is a shift in Jeremiah’s prophecy. For many years he had predicted pestilence, slaughter, famine and captivity. Now that Jerusalem is falling, he is here to instill hope: “I will bring upon them all the good I promise them,“ (32:42) and “Call to me, and I will answer you,” (33:3). And it is a LASTING hope, a complete transformation of Israel: “One heart and one way I will give them…I will make with them an eternal covenant,” (32:39-40). Note how the Lord says He will make the covenant WITH them, not at them. There is a partnership, with both sides giving. How does God partner with you? Baruch is a friend that is loyal and true to Jeremiah. He is there for him, even when it is hard. It seems that Baruch wrote much of what we find in these scripture passages, although there are hints that a man named Shaphan was connected with the scrolls too. Think of who your spiritual friends are…how do they help your faith? Gedaliah is the son of this Shaphan, considered pro-Babylonian and “sell-outs” in order to receive power and prestige from the new Babylonian empire. He is assassinated. The government is falling apart as well as the city. Poor Jeremiah is amidst all of this turmoil, mostly in jail or a cistern. “Jeremiah was constantly exposed to the situation of God, and tirelessly attentive to the mood of the people, offering boldly the call, the challenge, and the warning, attempting to unravel the knots in the relationship between God and Israel,” (Heschel, A., The Prophets, p. 139). Sin means, “missing the mark”. Jeremiah, using words from God, proclaims how the people of Israel and Judah have sinned which is why they are in this predicament. Even when we know we are sinning, we sometimes delay going to God and being reconciled. Think of St. Augustine before being baptized, saying “For there was nothing I could reply when you called me: Rise, thou that sleepest and arise from the dead: and Christ shall enlighten thee; wheras You showed me by every evidence that Your words were true, there was simply nothing I could answer save only laggard lazy words: ‘Soon,’ ‘Quite soon,’ ‘Give me just a little while,’ (Confessions, p. 165). These words from Jeremiah are meant to help us. Don’t delay! God wants to be in relationship (covenant, partnership) with us. and compassion to a hurting world. where we will increase and multiply. that we would never be lost to you. Jeremiah makes quite a prophecy in chapter 23: 5-6. After the opening prayer adapted from the verses right before, Jeremiah hints of a messianic king, who will represent everything that his predecessors failed to be. “A righteous shoot to David”: someone stemming from the line of David that will be a concrete manifestation of Yahweh’s own justice (sedaq). The word justice is used a lot in these few verses. This king will be named “The Lord our justice,” (Faley, R., Footprints on the Mountain, p. 489). What does this mean to you? Does this give you hope? Does God bring justice to your life? “What has straw to do with the wheat?” (24:28) Jeremiah says this about the false prophets. He does not want the Israelites to have anything to do with them. Straw is hollow, where wheat is not. Consider this analogy: What is false and hollow in your life? Wheat is nourishing. What is nourishing and with good purpose in your life? The yoke: “The people that submits its neck to the yoke of the king of Babylon to serve him I will leave in peace on its own land, says the Lord, to till it and dwell in it,” (27:11). The yoke could not be broken by human effort because the Babylonian king was the instrument of God’s purpose. And it was futile to fight against God! (Andersen, Understanding the Old Testament, p. 347). The yoke represents that which binds us to what is right and just. It may be a heavy weight at times but it has good purpose and moves us forward. Christian readers pay close attention to 31:31-34, the promise of the new covenant. As Christians, we may understand this as the covenant God makes through Jesus Christ. The word covenant is translated as testament, like the New Testament. This piece of scripture is also referred to in Hebrews 8:8-12, and follows, “In speaking of ‘a new covenant,’ he has made the first one obsolete. And what is obsolete and growing old will soon disappear,” (13). This is a dismissive judgment, implying that Christianity supersedes Judaism and makes it obsolete. If reading the passage in Jeremiah closely, the new covenant is actually with the house of Israel and the house of Judah alone. Judaism is not to be displaced but rather renewed, (Brueggemann, An Introduction to the Old Testament, p. 189). We are ALL renewed when we turn to the Lord! plans for our welfare, not for woe! you will listen to us. When we look for you, we will find you. We begin to hear more and more the toll of being a prophet is having on Jeremiah…”Woe to me, mother, that you gave me birth!” (15:10), “You duped me, O Lord, and I let myself be duped;” (20:7). He is suffering with the weight of his calling. And yet, he goes on to say, “But the Lord is with me, like a mighty champion:” (20:11). Like most of the prophets, Jeremiah always moved from anger and reproach to hope. Never the other way, (Guentert, US Catholic, p. 21). Have you ever been through a trial where you felt such despair? Did you cry out to God like this? Jeremiah shows us what it is like to have a personal relationship with God, a relationship where he isn’t afraid to get mad and seriously complain to God about his predicament. He knows that God will always be there for him anyway. For all the sins and problems the people were causing, these were only outward symptoms of a condition rooted in the heart, the seat of man’s loyalties and devotion. Jeremiah points out that the heart can cover up and justify (“rationalize”) its motives: “The heart is deceitful above all things, and desperately corrupt; who can understand it?” (17:9). Yet, no man can hide himself in a secret place from God, for YHWH is “at hand” and not “afar off” (23:23-24). He who “searches the mind and tries the heart” knows men’s deepest motives far better than they understand themselves (17:10). In the awful exposure of God’s revelation, man’s real condition comes to light. YHWH’s eyes look for truth (5:3), for the inner integrity that comes from a true relationship to God and fellowman in the covenant, (Andersen, Understanding the Old Testament, p. 333). “Why does the way of the godless prosper?” (12:1) This is the mystery in doing what is right. There is a sometimes a feeling of unfairness. Why should I do right when there are people that don’t and seem better off? There is no clear answer, except that we are called to do so. Because “it is right and just”. Because it makes us feel better. Because it brings us closer to God and what is good. Life is not as fate designs, nor is history a realm to be tyrannized by man. Events are not like rocks on the shore shaped by windand water. Choice, design, is what determines the shape of events. God is at work on man, intent to fashion history in accord with Himself…Ultimately there is only one will by which history is shaped: the will of God; and there is only one factor upon which the shape of history depends: the moral conduct of the nations. The history of mankind moves between these two poles,” (Heschel, The Prophets, p. 174). What do you think? “So who would want to be a prophet? Compared to the respectable philosopher, the prophet is a dumpster dweller. While the philosopher lives in the mansions of the mind, the prophet is homeless in the streets of everyday facts. The philosopher gives lectures on good and evil in general, while the prophet rants against this particular evil. And while the guru calmly encourages the good life in theory, the prophet threatens hellfire against this practical bad life…The prophet feels fiercely. God has thrust a burden on his soul…For the prophet, no one is just enough, honest enough, faithful enough, good enough, godly enough,” (Smith, Fr. James, Celebration Jan 2001, “Called To Be Prophet”). challenge the lifestyle of their contemporaries. proclaim the covenant (that God wants a personal relationship with us). insist on justice for all (Zannoni, A., Scripture From Scratch Sept. 1994, “The Biblical Prophets: Challenging role Models”). 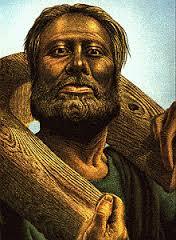 Jeremiah was born about 650 BC. Jeremiah began to prophecy in the 13th year of King Josiah’s reign, about 626 BC (only 21 years old!). He is said to have come from a priestly family of Anathoth, a village 4 miles NE of Jerusalem, (Andersen, B., Understanding the Old Testament, p. 300). He supported the reform of King Josiah which began in 629 BC. Ninevah, the capital of Assyria, fell in 612 BC, preparing the way for the new colossus, Babylon, which was soon to put an end to Judean independence. But King Josiah died, and the old idolatry returned. He opposed it with all of his being. Arrest, imprisonment, and public disgrace were his lot. Nebuchadnezzar took swift and terrible vengeance, destroying Jerusalem in 587 and sending the people into exile. Jeremiah remained amidst the ruins of Jerusalem but was forced into Egyptian exile until he was murdered by his own people. They appreciated his words after his death (The New American Bible: Saint Joseph Edition, p. 892-893). The book of Jeremiah is more like an anthology ( a collection of writings). Chapters1-25: prophetic oracles with some biological narrative inserted. Theologians seem to think that Jeremiah wrote most of the writings, with editing done by his scholar Baruch and later writers (Andersen, p. 327-328). The main theme is to indict Jerusalem for its disobedience to YHWH’s Torah and to sentence Jerusalem to the punishments that follow upon Torah disobedience. Jeremiah does this primarily using the Lord’s voice. He wants to make it very clear that this is how God feels and he is only the instrument for God’s communication. He does so using many words from nature and aspects of everyday life. Consider his audience! What spoke to you in these chapters? How do you compare these people to today and your life? Jeremiah makes reference that even before he was born, he was meant to do this work of prophecy. Have you ever felt that kind of certainty? Will make you come less miserable now. One might wonder what was on Jesus’ mind, on God’s mind, when he picked these two to be the examples of what a disciple should be. You and I would probably agree that Peter and Paul were probably two of the worst examples of disciples what a disciple should be. Peter was a traitor, he denied Jesus three times, and Paul a persecutor, he hunted and killed Christians before his conversion. Yet Jesus saw something other than a traitor and persecutor in them. Indeed, Peter’s confession that Jesus was the Messiah was astonishing. Only someone very special could have seen so clearly, as Peter did, who Jesus really was. All this suggests something quite important and theological. We should never dare to judge anyone, not even ourselves, as the stories of Peter and Paul teach us. None of us is living up to the beauty that is inside us, a beauty that only God can see clearly. All of us, no matter how terrible we live our lives, can turn them around. If a traitor can become the pope, and a persecutor one of the greatest of Jesus’ disciples, then imagine the potential within us, a potential that God can awake and make real if only we would let him. The feast of Saints Peter and Paul is not only a celebration of the lives of these great saints but also a celebration of the good that is inside us, locked up, and ready to spring open when God touches our hearts like he did with Peter’s and Paul’s. Once Peter and Paul met Jesus, as John before them, they did not live for themselves any longer. The names of both of them were changed. Simon was named Peter, the rock for the building of the church. Saul became Paul, made into an apostle after his conversion. My friends, at Baptism we, too, were given a new name and a mission to find God in all the circumstances and events of our lives and to give witness to Jesus Christ through our self-giving and our love. That might mean to be willing to serve others at all times, to sacrifice hours and days to the care of our children, our spouses, or aging parents; to give our own comfort up sometimes for the good of others; to give up our sense of competition; to silence a harsh word we are about to utter; and so many other small things that come up in the source of a normal day in our lives. So why not just let Jesus unlock our hearts and minds so that we can better serve God and one another by using those wonderful gifts God has given to each one of us. Especially the gifts of Jesus, our example and the Holy Spirit, our enabler, let’s just live our Baptismal promises.